We do a lot of things right, but we know we are not perfect. That’s why we give our customers the chance to let us know about their previous experience with us. Whether you had a good or bad visit, we want to know all about it. Why? Because we take your ideas, comments, and suggestions very seriously. 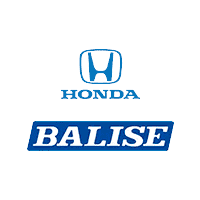 At Balise Honda, we’re always looking for ways to improve our business, but we need your help to achieve this. So let us know what’s on your mind. We would love to hear from you. If you would prefer to speak with someone in person about your experience, you can visit us at 509 Quaker Lane in West Warwick, RI. If you are unable to make the short drive to our dealership today, then you are more than welcome to give us a call. We wouldn’t want to miss an opportunity to improve our business. Whether you were working with sales, service, parts, or finance, we want to know all about it. As always, we look forward to hearing from you!